Gently scrub and cleanse at the same time with this luxurious apple pie spice foaming whipped sugar scrub recipe made with essential oils. Pumpkin spice season isn't over, but we're taking a bit of a break to move to apple pie spice. 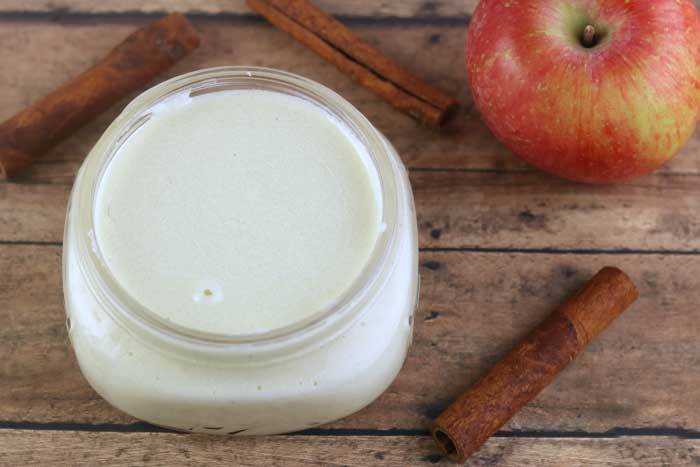 Apple pie spice is the the middle child of fall. It doesn't get nearly as much as attention as pumpkin spice or cinnamon. Sugar scrubs have been really popular lately as we head into cooler weather, so I wanted to make one with this new essential oil blend. But I didn't want just a simple sugar scrub. Sugar scrubs are a great way to naturally exfoliate your skin, but they leave your skin oily. This is great when your skin is really dry, but not so great when you want to get on with life after you use the scrub. I'm always on the computer of my phone. I don't want my hands oily after using a scrub. 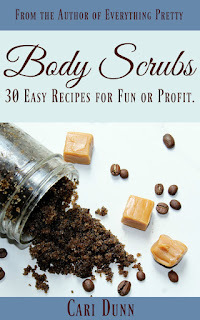 This scrub is a foaming whipped sugar scrub, so it has castile soap in it for the foaming part. It cleans while it scrubs, and it cuts down on the greasy feel. I also whipped it to make it more luxurious. 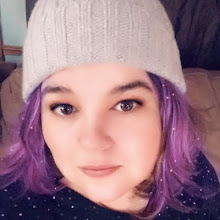 The simple act of whipping it for a few minutes really turns this scrub into a spa like scrub versus a plain sugar scrub. 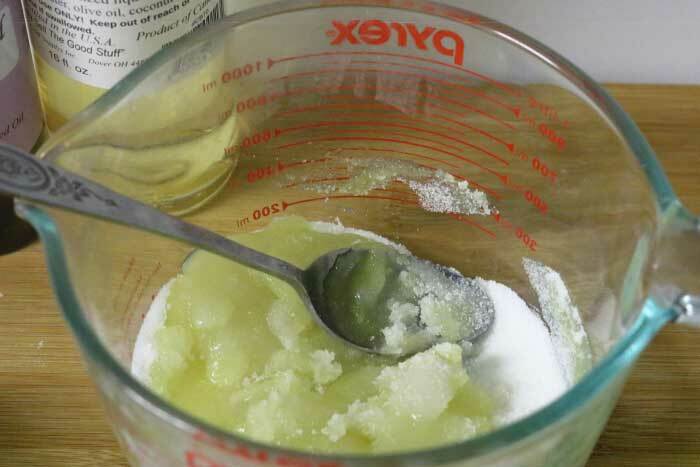 Our bodies can absorb what we put on them topically, so I use an organic sugar to make my sugar scrubs. 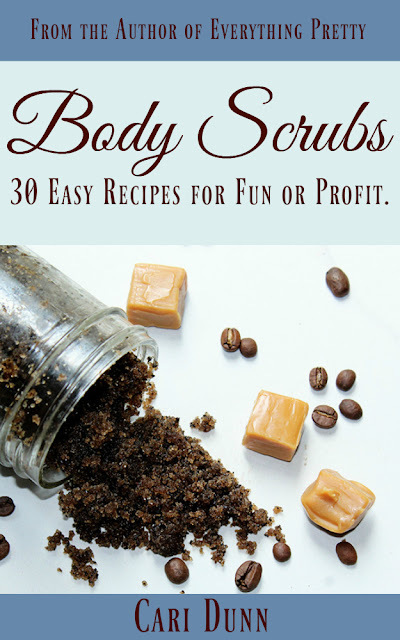 I used white sugar for this scrub because it is better for exfoliating. If you have sensitive skin, use brown sugar for all or part of the sugar. Just make sure that you use 1 total cup of sugar. The liquid castile soap makes this sugar scrub foam. It's a mild liquid soap that's made with olive oil, so it's very gentle on your skin. I have made liquid castile soap, but it tends to separate. 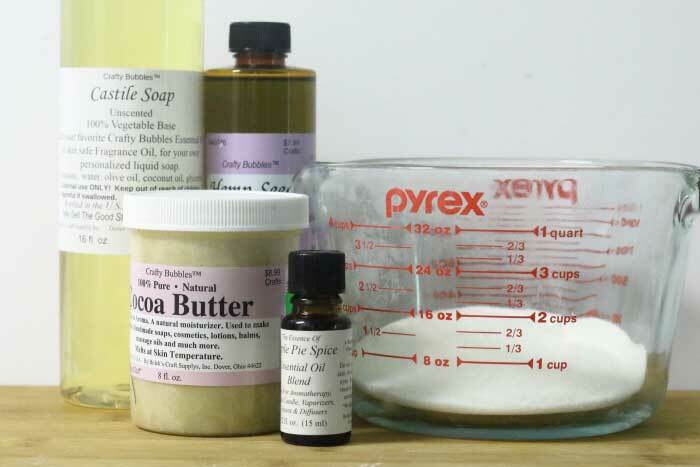 I use my homemade soap for cleaning, and I buy liquid castile soap for recipes like this one. I get mine from Bolek's Crafts. They have a 32-ounce bottle for $10, which is cheaper that other brands. It's so new that it's not in their catalog, so email or call to order. 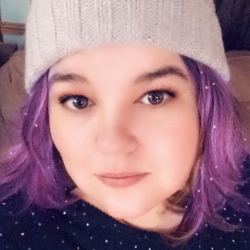 I chose hemp seed oil because it's very moisturizing. Since you're only using a little bit of oil in this recipe, I wanted something that really packed some power. Hemp seed oil takes longer than some oils to penetrate into your skin. This makes them a great choice for dry skin because they sit on top of your skin for a while and act as an emollient. Hemp seed oil is high in essential fatty acids like gamma-linoleic acid, which works as an anti-inflammatory. It also has linoleic acid and oleic acid to moisturize the skin. 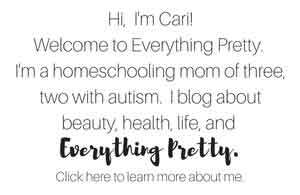 You can use other carrier oils if you want. If you don't have dry skin and don't want lingering oil, use a dry oil like grapeseed oil or sunflower oil. If you have dry skin and want more moisturizing power, use avocado oil , jojoba oil , or sweet almond oil . 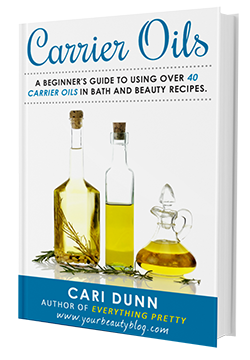 Learn more about the different carrier oils in my book, Carrier Oils. Cocoa butter is solid at room temperature, so it's important for this recipe so it whips. Cocoa butter is great for dry skin. It's contains essential fatty acids like stearic acid and palmitic acid to nourish your skin. 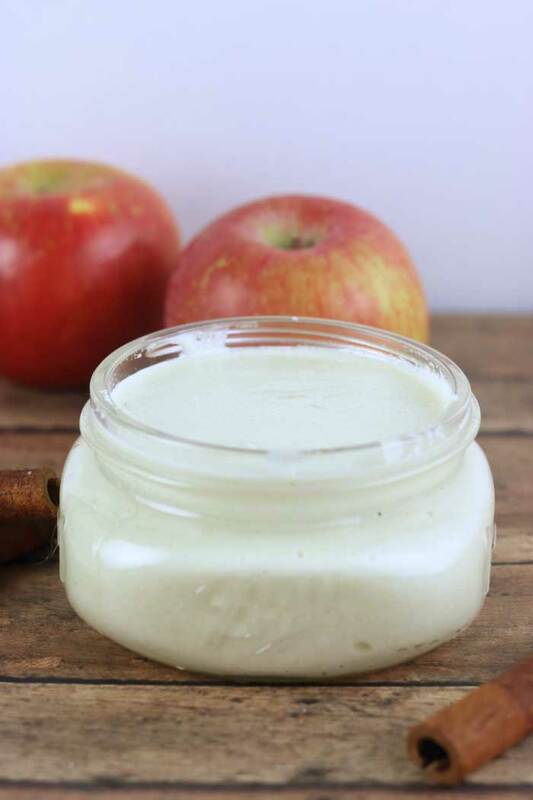 The saturated fats help moisturize your skin, so it's a great ingredient to use in the fall or winter when dry skin really strikes. 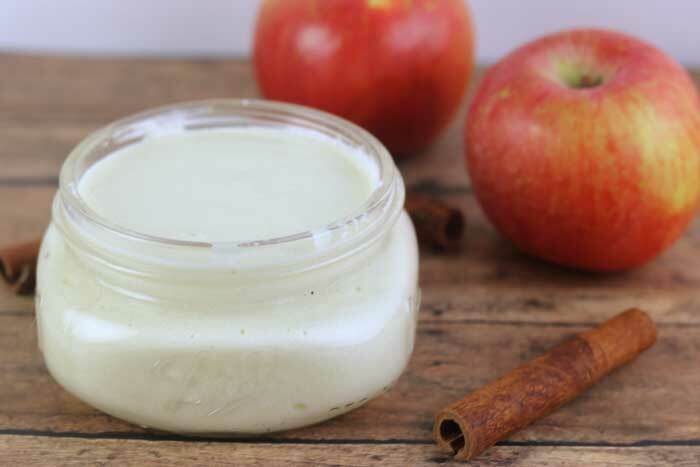 I wanted a nice fall scent, so I used Crafty Bubble's new Apple Pie Spice essential oil blend. Although it doesn't have apple in it and just has the spices, it smells like a baking apple pie. It has a crisp, clean scent perfect for fall. 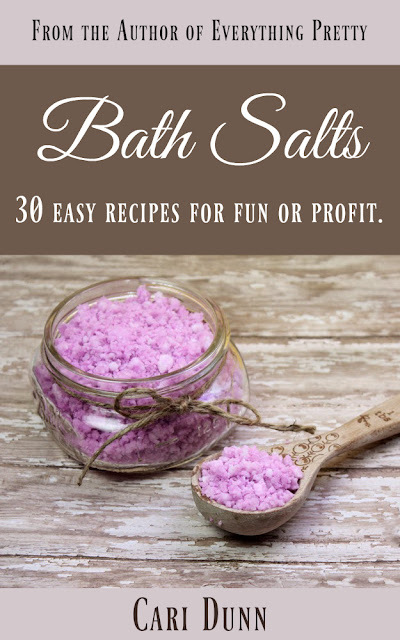 Combine the sugar, liquid castile soap, and hemp seed oil in a bowl. I used a four cup Pyrex measuring cup . Stir well. Melt the cocoa butter in a double boiler until completely melted. Pour over the sugar mixture and stir. Let cool for an hour to let the cocoa butter set up. 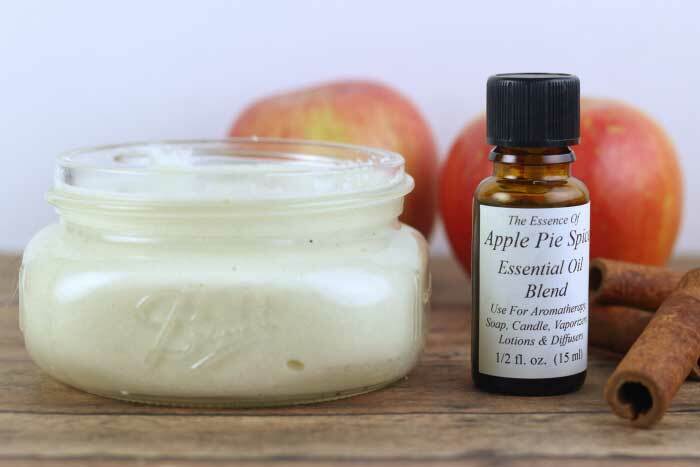 Add the Apple Pie Spice essential oil blend. 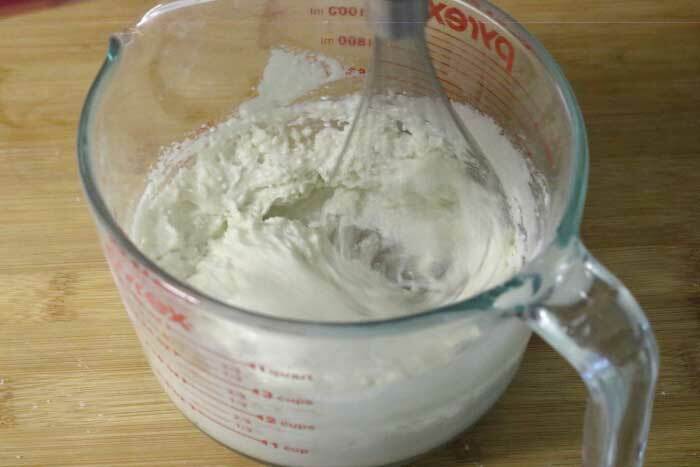 Use the whisk attachment on your stand mixer or hand mixer to whip the sugar scrub. How long is up to you. I whipped for about 5 minutes until it was light and fluffy. Store in a glass jar. This makes about two cups of foaming whipped sugar scrub after you whip it, so you can fill two 8-ounce jars. Keep one and give one to a friend. Use once a week to naturally exfoliate your skin. You can also use it as needed to scrub your hands if they get dirty. If I use a sugar scrub in the shower, I really prefer a foaming one. 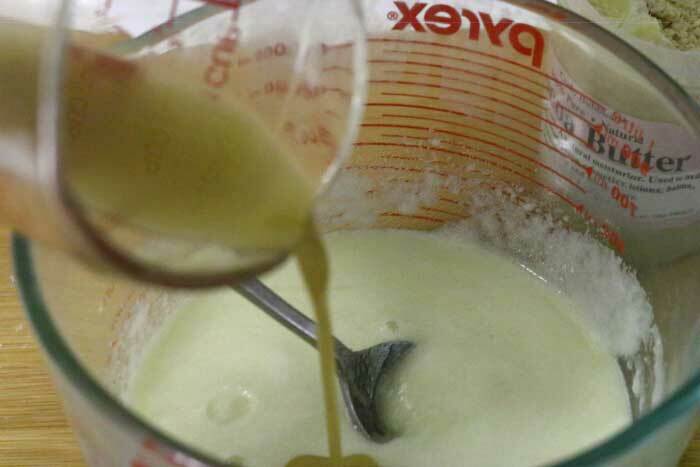 Even though it has oil to moisturize your skin, it is not as greasy as other scrub recipes. This also makes a great scrub for your feet because it cleanses while it moisturizes and removes dead skin cells.